As they say, if you like law or sausage, you do not want to see either being made…..
Something really nasty happened in Sacramento last year to the rights of men and women injured on the job here in California. It was one of those “sneaker” bills owned and operated by Big Business and Big Insurance. The plan was to save hundreds of millions of dollars by giving workers’ compensation insurance carriers better tools to clamp down on medical treatment mandated by the Labor Code for workers injured on the job. This newest tool was called Independent Medical Review (IMR). The bill was ram-rodded through the legislature and down a well-greased political slip and slide into the welcoming arms of Governor Jerry Brown. As a result, SB 863’s IMR provisions are now the law of the land. In essence, IMR is designed to save money by eliminating an injured workers’ right to have a judge rule on the reasonableness of a utilization review denial of medical treatment. The opinion of an Agreed Medical Evaluator, a Qualified Medical Evaluator or a treating physician that has personally evaluated the injured worker no longer controls. IMR disputes will now be resolved by the national med-legal giant Maximums. 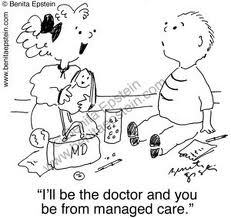 The IMR doctor will never talk to or see an applicant. They will make their decisions primarily based on the paperwork provided by the insurance carrier. Once an IMR decision is made, it is good for one solid year unless the injured worker can demonstrate a change of circumstances regarding their medical condition. The word on the “comp” street is that the Maximums are so bogged down with denials and requests that it is taking 1-3 months just to get the referral to IMR. Thereafter, they have 30 days to render a decision. So, injured workers are looking at 2-4 months on average to get resolution on a basic treatment issue. Ironically, thanks to the 2004 “reforms”, injured workers (in most cases) can only get temporary disability for two years. So, their case, in addition to languishing for months due the new QME process, now gets to languish for several more months while a treatment issue winds its way through the IMR labyrinth. It is painfully apparent is that the people 30,000 feet above the “comp” system who dreamed up these rules had utterly no idea of what is happening on the ground. With this new tool, adjusters are now practicing medicine. Unhappy with the expense of pain meds, they are simply issuing UR denials and advising injured workers that they are “cutting down on their pain medications” pending IMR decisions (months and months down the road). So, on our end, there are a few approaches to deal with this mess. The first, is finding a technical reason to file for a hearing and get the matter before a judge. There are quite a few procedural lapses to work with here. The most obvious one, is when the carrier fails to issue a UR denial in a timely fashion. When this happens, you can go directly to court on the issue. By statute, the insurance carrier has to issue a UR denial within five working days from the receipt of the Request for Treatment (RFA) or 14 days from the treatment recommendation…period. A second approach would be to appeal the IMR decision within the “comp” system based on the limited grounds of fraud, conflict of interest, or most importantly, mistake of fact. An example of this would be not having all the medical records before the reviewer or a deliberate exclusion of records. Unfortunately, if you win on that ground, you only get looped back into the IMR system (same circus, different clowns). A more long term approach would be to appeal the IMR decision upholding the UR denial based on a denial of due process and appeal directly to the California Court of Appeal. This approach would take years. Yikes. The third approach is the “leap of faith” method. That is putting your cynical side aside for a moment and hoping that somehow the IMR doctor will come to the right decision. With this hope comes the dream that those wily adjusters will become more circumspect in using this new toy as they rack up penalty provisions for failure to jump through all flaming hoops on their end.